Increasingly, consumers are cutting the cord on expensive traditional services. Today, high-quality phone service is no longer monopolized by industry giants AT&T and Verizon; companies such as Ooma and Obihai are providing smart alternatives. By choosing the right phone service, it’s possible to pay less than your current bill and get more calling features. However, when you’re avoiding the mainstream, you may face new questions as to which provider can offer great call quality, seamless usability, 24/7 support, and a no-stress solution. Let’s go point-by-point to understand how Ooma and Obihai phone services compare to one another. Both Ooma and Obihai are strong alternatives to traditional landline home phones. Instead of copper phone lines or cellular voice, these services rely upon VoIP, which means calls are transmitted over your internet connection. 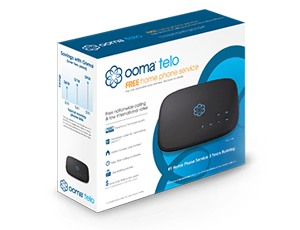 When Ooma launched in 2004, it was one of the pioneers of VoIP, and it’s remained an industry leader. Obihai was founded in 2010, and Polycom acquired it in January 2018. A few months later, Polycom was acquired by Plantronics for $2 billion. These business changes have prompted uncertainty for some Obihai users who wonder what’s next for the company and which devices it’ll continue to support. The main similarity between Ooma and Obihai is that both provide an analog-to-digital switch that allows you to use the home phone handset that you already have. However, there’s a major difference between the two. While Ooma is a full-service residential VoIP that can completely replace your landline service, Obihai is essentially a gateway for you to access another VoIP service. In other words, Obihai doesn’t actually provide phone service. Instead, an Obihai device must be partnered with a provider such as Google Voice or Anveo. Many Obihai users rely upon a Google Voice account to provide their phone service. However, there are disadvantages to needing two companies for your phone service. For example, Google Voice threatened to change third-party access in May of 2014, which would block Obihai users. This had many users scrambling to figure out what they need to do in order to continue their phone service. A few months later in September, Obihai issued a statement that Google Voice was now officially supported. Additionally, relying upon two companies means two sets of configurations to set up and manage. “Configuring the Obi200 can be quite challenging, especially for those who are not tech savvy,” said All Home Robotics. Another report found that an integration failure between Obihai and Google could mean that an incoming caller would hear a message that the number has been disconnected. Both Ooma’s Basic Service and Obihai paired with Google Voice provide a wide set of calling tools. With each option, users get call waiting, caller ID, voicemail, low-cost international calls, and more. Both offer mobile access on your cell phone: Ooma through its mobile app and Obihai through the Google Hangouts or Google Voice apps. Encrypted calls use the same encryption technology that governments use to protect classified data. Advanced voice compression allows calls to use 60 percent less bandwidth. Responsive prioritization dynamically adjusts to your internet traffic, so calls remain crystal-clear. Adaptive redundancy improves call quality by detecting audio transmission gaps algorithmically, helping you avoid stuttered or garbled audio. HD Voice captures 2X the audio information as standard calls, offering high-definition audio when both callers are using HD devices. Another major distinguishing factor is that all Ooma users have integrated 911 service, but those using Obihai with a Google Voice number don’t have 911 emergency access. While it’s easy to take emergency services for granted, there’s no denying its importance when you need it. Obihai does offer an optional 911 add-on through the provider Anveo. However, this means adding yet another vendor, at a cost of $25 a year, in order to have the essentials of phone service. Additionally Ooma’s 911 alerts can instantly notify a second phone number if 911 is called from your Ooma line, helping you stay in the know if there’s an emergency. Using Obihai for your phone service is known as a cheap solution. However, to access these low rates, you may face the inconvenience of multiple providers along with limited functionality. With Obihai, the upfront device costs of the OBi202 or OBi200 ranges between $49.99 and $89.99. As to service, using Google Voice is free, but adding on a 911 provider will be an extra cost. Obihai also works with the VoIP provider Anveo. With an annual contract, the cost is $7 per month for 1,000 outgoing minutes to select countries, and free incoming calls. Anveo does include 911 service. 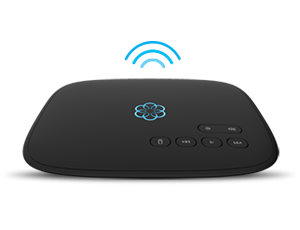 Using Ooma starts with an upfront hardware cost of $79.99 to $99.99 for the Ooma Telo. Then, there are two service tiers to consider, both of which are contract-free. The low-cost choice is Ooma Basic, with a monthly charge averaging between $4 and $7 per month solely to cover taxes associated with your ZIP code. Ooma Basic includes calling essentials such as unlimited U.S. calling, 911 access, HD voice, voicemail, call waiting, caller ID, and more. In addition, users can integrate their service with Ooma Smart Security, Amazon Alexa, and Ooma’s free calling app. For additional high-tech features, users can upgrade to Ooma Premier, which costs only $9.99 per month plus applicable taxes. This service expands unlimited calls to include Canada, Puerto Rico, and Mexico, while adding features such as smart home integration, voicemail monitoring, protection against spam calls with call blocking, Instant Second Line, full mobile app access, and more. Notably, the benefits of Obihai weren’t enough to make him want to switch providers, and he remained an Ooma customer after his Obihai review. A ZDNet reviewer had a similar experience, ultimately preferring Ooma to using Obihai with Google Voice. The reviewer’s major complaint with Obihai was call quality. “The Obi device was a nice idea, but outgoing calls were always so static-filled that we got constant complaints. I knew we weren’t alone, because the Obi forums were filled with similar complaints,” he said. As to customer service, Obihai does offer customer support, but there’s no direct support from Google Voice. This could leave you troubleshooting on your own by reading through online materials or asking other users in a help forum. When comparing Ooma to Obihai for residential phone service, there are some striking differences. Ooma is known as a reliable, high-quality, and easy-to-use phone service. There are two service tiers, letting you decide if you prefer affordability or high-tech features such as smart home integration. Typically, customers save more than $1,000 on phone service over three years, and you can use the savings calculator to see how much you’ll save with Ooma. On the other hand, Obihai may be a more troublesome solution because users need multiple providers, which adds setup complication and risk of integration failure. Reviewers have called out Obihai for its poor audio quality. Additionally, if Obihai is paired with Google Voice, users don’t have an integrated 911 service. While using Obihai can be a cheaper home phone, you could end up paying in time and headaches. Learn more about Ooma home phone service.